Finally She's Back in Sydney! We woke up early at 4 am yesterday because it's Micah's flight back to Australia. We were so stressed out the night before her departure thinking because her luggage is so full and heavy already. We had it weighed and the luggage is almost 25 kilos, the box that has her RJ guitar weighs almost 7 kilos, her hand carry 10 kilos plus she has her personal bag with her. For sure she'll have an excess luggage. The departure came and we (mom, bro and I) accompanied Micah at PAL (Phil. Airlines) (terminal 2). I love the PAL terminal bec. it is huge and its spacious can comfortably accommodate those that are arriving and departing. Plus it's easy for us well-wishers to wait. Anyway, we arrived at 6 am, because her flight is at 9: am. She was a bit nervous bec. of her luggage being overweight. I'm not that nervous because I gave her extra money just in case she will pay for the excess which we thought was around AUS$27 per kilo. We can see her through the glass and it was her turn and she happily gave us a OK thumb sign that her luggage is ok. We then waited for her outside to give our final goodbyes and give her more instructions. It turned out that she was 4 kilos overweight but the guy let her through w/o any excess baggage payment. We are so relieved! may he be blessed..lol. I guess she was allowed bec. she's only 15 yrs. old and traveling alone. I already spoke to her mom at YM last night and she said she arrived safely in Sydney. Thank God! We're going to miss Micah eventhough she's a bit handful at times. For sure she will back again as she loves it here! Ok this is a super duper over late post already but I'm sharing it anyway.. Been too busy to download, resize and upload photos during the holidays that's why. My sister JOY and her family from Sydney came home for their holidays here in Pinas last Dec. 24th, 2009 till Jan 16, 2010. 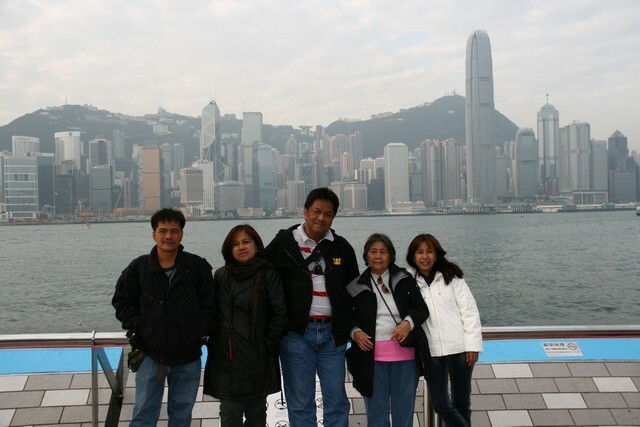 If you still remember my other sister and relatives met them in Hongkong to spend some time there. 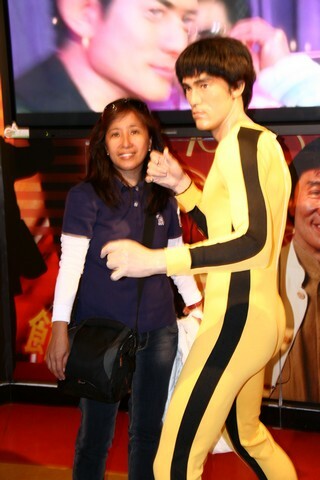 Our Hongkong vacation here. 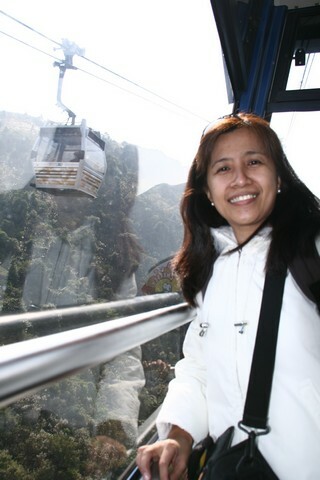 Sis Joy and family spent their Christmas and New Year here in the Philippines. 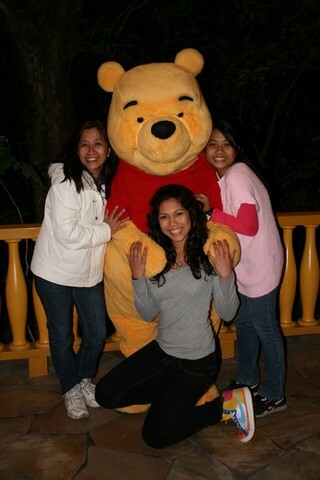 It was the 1st time for her 2 kids to visit our country and I noticed that they really enjoyed their vacation so much. We let them experienced how we spend Christmas and New Year here because it's very much different in Australia. Our family picture minus my sister Beng and her family. We took the kids to our relatives and they received lots of gifts and money. It's our family tradition every evening of Dec. 25, we'll have an exchange gifts. We all had fun opening our gifts one by one. I am the one calling each one and handing their gifts, then they will open it. The kids, most especially are the ones excited. Wow it's been a while since my last post here. Sorry for that. Been busy with my offline life these past few days running errands, shopping and accompanying my niece here and there who is leaving for Sydney tomorrow. I'm sure my blogging mojo and schedule will be back to normal next week. I've been soooo left behind with my post. I have yet to post my Christmas, New Year and other vacation photos here. Ok gotta go, I need to wake up at around 4 am bec. she needs to be at the airport early. It'll be another shopping day! I've been accompanying my vacationing niece from Sydney on her shopping spree left and right. She'll be bringing lots of new clothes, bags and shoes when she go back to Sydney next week. Today, we'll be buying a formal dress and shoes for her. She'll be attending a wedding in Feb. so she needs a nice one. Hope the one we saw last time was still on stock. This afternoon, Caryl, a twittermate shared a video link of the wedding of Ciara Sotto (a local actress) and her husband. I was kinda impressed with the video; the editing and the concept plus the beautiful music of Jim Brickman's Simple Things. It's not like any other ordinary wedding videos that I've seen before, very refreshing, bubbly, warm and fun. It's a garden wedding actually and maybe they also have considered those that other couples like. While watching the videos, it made me think for a while and have thought that it'll be fun also to attend and witness destination weddings. Anyone here tying the knot soon? I was out half of the day yesterday to renew my business license at our local municipal hall. I was there a 9 am and it's quite amusing to see only a handful of people renewing to think it's almost deadline. I was in a hurry so that I can finish it before lunch so that I will not come back anymore. I was with my bro who is renewing as well but I told him that I will do the rest of the steps for him after the assessment. The process is quite easy and fast this year unlike last year but I noticed some few changes with regards to the payments. I was irked to find out that we still need to pay fire fees separately because it was not included in the assessment and this issue made some people angry. Also we also paid notary of P50 without any receipt issued and our barangay is collecting pictures fee of P15 for barangay clearance even if your photo is not taken and not printed! Holy moly! I did not complain coz i don't want to get in trouble and to finish the processing fast but you can see the corruption so clearly!! Sigh!!! I Want Another HP Pavilion Desktop Soon! Last night, I found myself browsing for an HP desktop online. For some reason, replacing my 3-yr. HP Pavilion desktop that I’m using here on my shop got into me. It’s still working perfectly fine and no sign of breaking down anytime soon but I just wanted to have a much faster processor, a higher memory and bigger hard disc space. Although I have an extra 500GB hardrive already, i find it a bit of a hassle to plug it in to get the tons of files that I have. I also have the habit of multi-tasking, opening several applications like 2 browsers, Photoshop while printing at one time so a much faster processor is a way to go. My core2duo is great but it would be nice to have a quad or the i7 one. I saw a nice HP pavilion online with higher specs and a good price so I’ll be scouring computer shops once again. I wanted an HP brand again since it doesn’t gave me a headache. I hope I'll purchase one soon! I gotta save, save, save! I’m also texting my technician back and forth asking him if ever I change my pc I’ll ask him to network all the computers back again to my pc (I’m the server). I don’t have any knowledge in networking so; I’d just ask a friend to take care of the networking stuff on my net café. For sure those qualified and highly experienced staff at network assessment services are really good and get high paying jobs. How’d I wish I know how to do networking and other computer tech stuff. Sad, I have not reconnected with my bestfriend Adel in college since last quarter of year of 2009 and I miss her already. She forgot to text me on my b-day in Nov. and I also missed texting her on her bday last December. Hmmm.. I guess we are both busy those days and I don't think that we already forgot each other, no way!. We are both friends way back in our Med. Tech. years and while she landed a job right away from college as a medical technologist in an STD testing clinic, she didn't stay there long enough for her salary is not that good. She works in a different and bigger hospital later on, then on a special clinic where they test HIV too and now she is doing great in her career as a senior Med. Tech. and I'm very happy for her. I hope I can see her in the future as well and talk about our good old days. Wow it's past 12 midnight already and here I am still wide away. Been away from the computer since morning and it's only this afternoon that I was able to read mails, etc. It's only after dinner as well when I to do some online stuff so I'm extending my waking hours. I'll just wake up a bit late tomorrow, oops I mean later today. As was thinking what to blog right this moment, I can't help but to blame myself for being so slack lately and promised myself to do these asap. 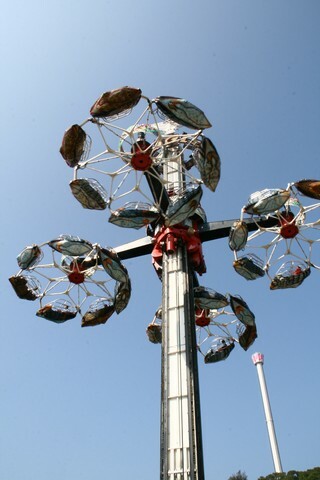 1. resize Christmas, new year, and other events and upload them at my flickr acct. 2. burn photos of my sister Joy's Pinas vacation at DVD so that Micah will bring it in Sydney next week. If I can do all of that this week then I'll be more organized!! Wow, the preggy dust has spread again on our group, our co-Bebot (digi-scrapper) friend DZOI is 17 weeks pregnant on her second baby. I read on her blog that she's having quite a not so easy pregnancy this time because there are times when she wants to just lay down in bed and not work. I'm sure she's taking care of the baby inside of her by taking prenatal vitamins prescribed by her OB and good healthy foods. I hope it's a boy this time. Congrats Dzoi! Can't wait to see your new baby soon. Manny Pacquaio is set to fight again and this time with Joshua Clottey on March 13th at Cowboys Stadium in Dallas after the supposedly fight bet. Floyd Mayweather Jr. in the US. Ahh for sure this is one big fight once again but having beaten great boxers and have won 7 world titles our very own Manny Pacquaio is a sure winner. But like any other fights Manny focuses so hard on his fight and dedicates it to his country that's why everytime he wins all of us rejoice. We are just praying that he'll win again and he does, wow he's really super rich! I'm not really a boxing fan, but I only watch a it when Manny fights in the ring because it's really exciting. I guess not all are boxing fanatics, some may prefer watching UFC, MMA (mixed martial arts)while tuning in to mma news, while others opt to watch wrestling. To each its own actually. Hey all, sorry for the late update once again. I'm just been swamped with online and offline works that's why. I feel so blessed and thankful! I'm also busy accompanying my vacationing niece from Sydney left and right doing shopping and all because she doesn't want to just stay at home all day. She's telling me that I will ruin her holidays if I'm not going to be with her, haha.. but I told her I also need to work. Thank heavens I feel better now. After getting sick for about 1 1/2 days I'm really back to work and post more photos of our HK trip before I get lazy. Anyway, So you thought that my Hongkong Trip post is over yet? Nah.. I still have some last few photos and stories on our last day in Hongkong (Day 4). Our flight back to Manila on Dec. 24, 2009 was early at 8 am so I need to pack our stuff eventhough we are so tired from our Ocean Park, the Peak and dinner. 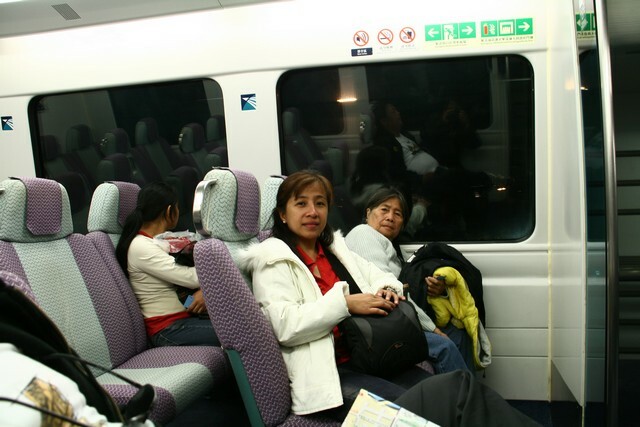 We asked the driver to drop as the the HONGKONG AIRPORT EXPRESS TRAIN station in Kowloon and we got there in few minutes. 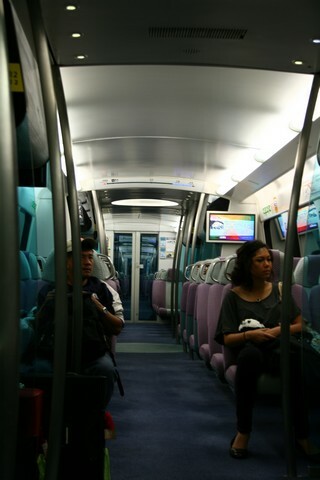 It's super fast and it only takes us about 20 mins from Kowloon to Airport. It was just right in time when we arrived at the airport, we checked in our luggage at Cebu Pacific early and have some breakfast inside the airport. It was the day before Christmas so a lot of Pinoys are going home, there are lots of OFW (overseas Filipino Workers) on board our flight and Micah my niece even won a luggage tag during the small contest inside the plane. Arrived at NAIA terminal 3 safely around 10:30 am and proceeded to NAIA 1 to fetch sis Joy and family who is also arriving at 11:30 from Hongkong as well. 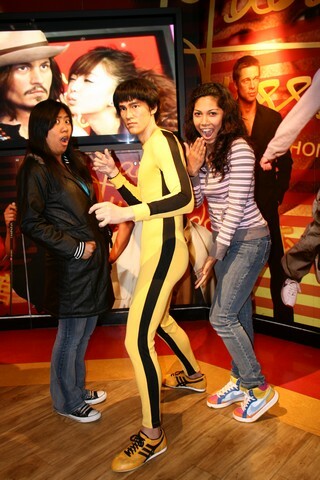 Our Hongkong trip was tiring bec. we only have 3 days to fully explore the place. We wish we have more days and I'm not if I can go back there again. 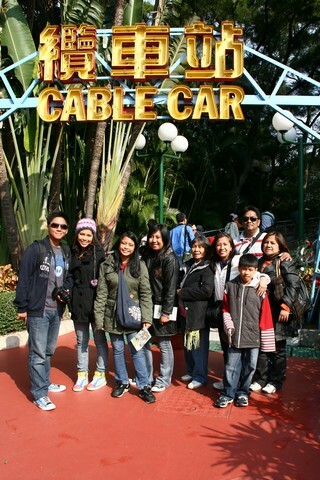 I will always cherish all the bonding moments that we have as a family in our HK trip. 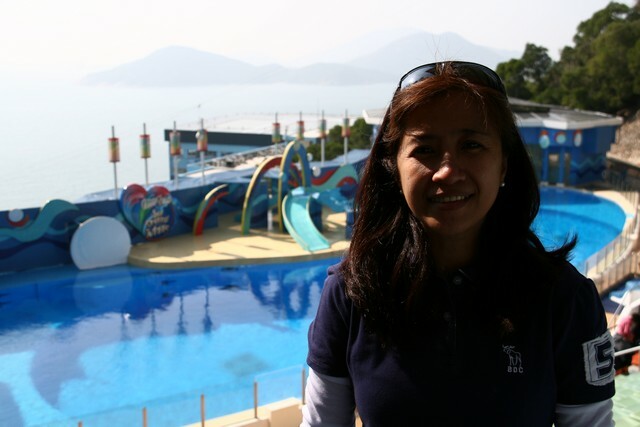 View our Hongkong Trip from Day 1-4. The trip is awesome eventhough it's expensive but it's worth it.!! If you have time go to Hongkong and have fun with your family. Even for few days you can take a break and need not worry about any problem and would not even think of reading about depression if you have at http://www.depressiontreatment.net bec. traveling can veer you away from your worries. Have fun! My blogger nephew Karlo has been watching was he is eating right now. I guess he is fed up with being a little on the heavier and chubby side (not that he is too big) that's why he's going to the gym regularly now. His choice of food mostly contains of meat, fish and veggies and less or no rice at all. He has done it for a while now and it's doing good on it. He even mentioned creating a blog about his journey to a more healthier and leaner individual. He is also taking some supplements, I'm not sure if he'd also consider taking a protein powder. His body is gradually changing and I can see the development. In fact, he's also getting some new clothes bec. the old ones are too big for him already. That only shows his regimen is working for him. If I have my way in our house I’d definitely chuck most of the decors or stuff that are old and so tacky already. The house looks a bit mess with all the stuff that we have accumulated over the years and I guess it’s time to let go of them. I should have got rid of them long time ago but mom would not let me bec. of personal attachments to them. One time I’ll sneak and hide some things and will re-arrange some furniture. Aside from that my little sentiment also goes to having a more spacious and contemporary bathroom. I have seen lots of model bathroom online, home depots and have been to hotels with nice bathrooms and it’ll be perfect to have one in the house since bathroom is one of the most used place. Comfort is the key to bathrooms and it’s always heaven to pamper oneself in a relaxing room. I had the chance to browse model bathrooms from betterbathrooms.com and it makes me even more excited to think about our would be bathroom renovation. The ongoing sale will definitely send any shopper not to think twice but grab the chance at this. In my case I still have to consult mom and set aside a budget for it and with the looks of it, a renovation is still on hold until I got a budget for it. Oh dear, I'm not feeling so well since yesterday. I suddenly got colds and I am guessing it is must be due to weather changes and I got it from my mom who recently got it. I already took medicines since last night and I'm getting better, thank heavens. I can't get sick for a long time because work can't wait that much. I don't want to be swamped and cram on due dates. I drowned myself with water that contains Fern-C (vitamins) granules that my sisinlaw advised, must be working i guess. Funny thing is that some people who are sick don't have an appetite to eat but today I feel hungry all the time. I ate chips, fried chicken and craved for cake so I asked my niece to buy me at Red Ribbon this afternoon. It's almost midnight now and I'm craving for some crackers or a junk food. Yay, I know it's not healthy because it's oily. It must be one of the causes of adult acne aside from not being able to clean our face properly. Ok gotta go, I guess i need to drink my medicine for tonight before I hit the sack so that I'll be better tomorrow morning. Night y'all. My 5 Years of Blogging!!! Hooorayyyy..I've been blogging for 5 years now!! I started blogging on January 7, 2005 (not on this blog) using Bravejournal blog format out of curiosity. I saw my online friend Ana PS had one where she is sharing some of her thoughts, photos and more so I thought I can do the same thing. Here's my very 1st blog post at bravejournal. A year after, I opened an account at Blogger and bought my own domain (here's my very 1st domain personal blog)and found myself hooked into blogging. I met lots of online friends, some of which I have met already in person. An online dear friend CHIKAI, later on on 2007 introduced me to the world of sponsored blogging where I can review products/services or just simply put a link of advertiser's site. At first I was hesitant to try it because I'm not sure if they really pay. I gave it a try and true enough it pays and now I'm loving every work that I do for advertisers. I already wrote lots of topics from clothing, home products, alli weight loss, health issues, technology and more categories. Some advertisers are generous in their payment while others are too strict with their requirements. With all the hard work that I have done, I bought stuff from my online earnings and I am more than happy, thankful and feel blessed to have been in this business. With my online business booming, soon enough I opened several more blogs under my wings and I'm unstoppable. Not sure if I can make another one because maintaining is a bit hard. Right now, I can see more years of blogging and I hope you are still here to read my posts. My vacationing sister Joy and her family from Sydney is about to leave in few more days. They had their vacation here since Dec. 24th and I reckon they enjoyed our Christmas and New Year celebration that we had here because it’s far different from what they normally do back in Australia. Her 2 young kids whom came here for the 1st time had a blast playing, riding the jeepney and the tricycle for the 1st time hahaha and playing with their cousins. I’m sure they’ll miss their fun times together and I’ll not blame tem if they’ll gonna ask my sis to have another vacay here in the future. I will just share some photos of them here soon; I’ve just been overloaded with photos of different events last year so I need to post them one at a time. Like I said, my sis and family will be going back in Australia on Saturday and I heard that they will start their dream house building as soon as they got back there. I know it’ll be one heck of a tough project that they’ll have but I guess if they have the right contractor and right suppliers, their house will be built in a snap. Knowing my broinlaw and sis, it is in their minds already that they will only put quality furniture in their house. Not to forget all that little details in the living room bedroom, kitchen and more. Discount Faucets can make them save as well, but since they are in Aus. and faucetonsale.com is based in the US, I think it’ll be impossible to import such products to them. For those that needs faucets for your homes, office or establishments you’ll find it a delight to know that you can get affordable stuff yet with quality. Not only that, there are several hundreds of items or products that they offer for their clients. Check them out if you need some supplies. So you thought my post about our HK trip is finished? Nah, there's more pictures and stories to tell. Here it goes:Our Hongkong Trip: Day 3 part 2 (Dec. 23, 2009). PHOTO OVERLOAD again. 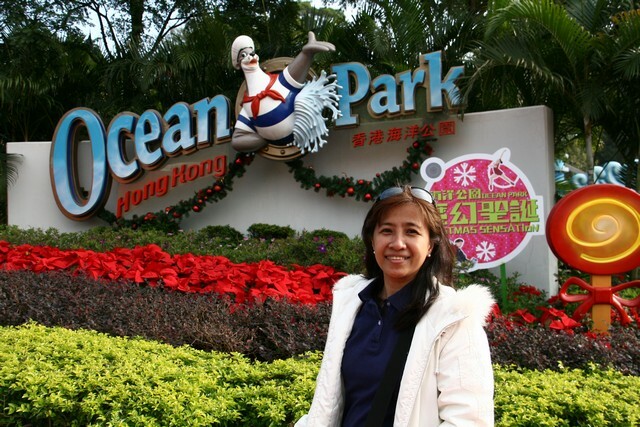 With our desire to go to many Hongkong tourist spots as much as possible because of our short stay there, we cut our OCEAN PARK trip from 10am up to 4pm only so that we'll be able to go to THE PEAK. My nieces and nephews who enjoyed all the rides inside the Ocean Park are somewhat disappointed that we'll leave early but they have no choice. 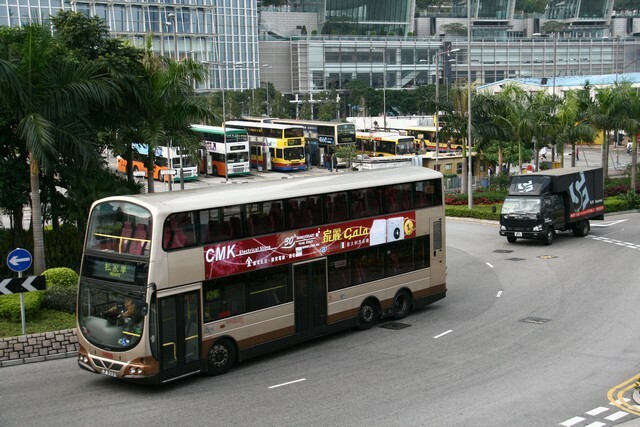 From Ocean Park we ride a bus to go to the THE PEAK. 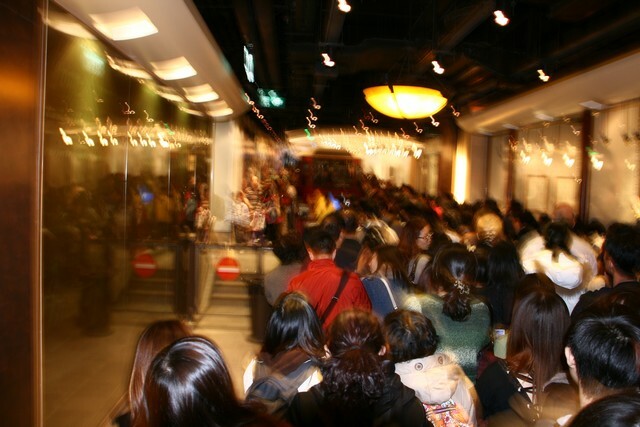 When we arrived there's a long line and huge crowd, we've almost back out bec. we need to be back at Holiday Inn by 7:30 pm for our dinner with my sis and her family. Anyway, fortunately we have our OCTOPUS Card with us bec. that saved us from falling in line just to get our tickets. We waited our turn to board at THE PEAK TRAM, but there are instances where there is a commotion bec. everyone wants to ride the tram first. There are annoying tourists beside me who wanted to get board ahead of me. 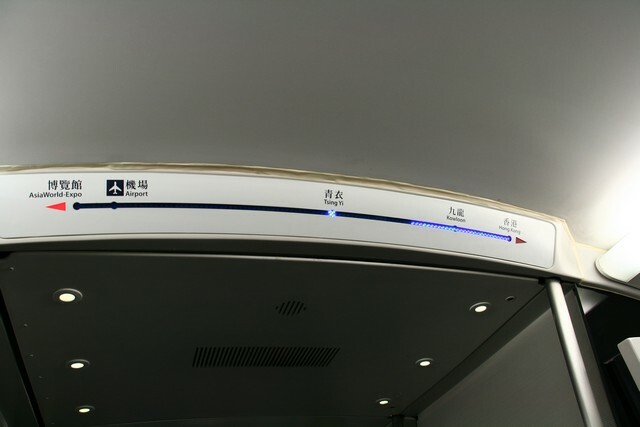 Anyway, it was already dark when we got inside the train and it slowly got up, moving in a very steep position. We are so amazed bec. you could see the buildings below and we are just getting up so high. The lights and the view was amazing. We got inside but we didn't go to the viewing room anymore because we are in a hurry so just posed for some photos and went to the PEAK market to buy some souvenirs because the next day is our flight already and we have no more time. They are hurrying us up bec. 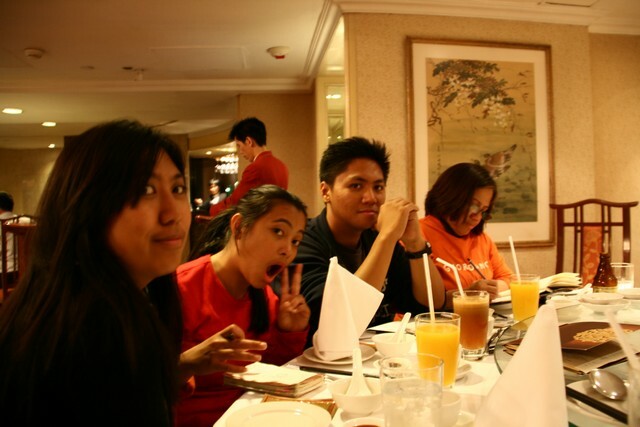 we need to be in time for the dinner hosted by my sis and bro in law in a chinese resto that they have reserved for us. 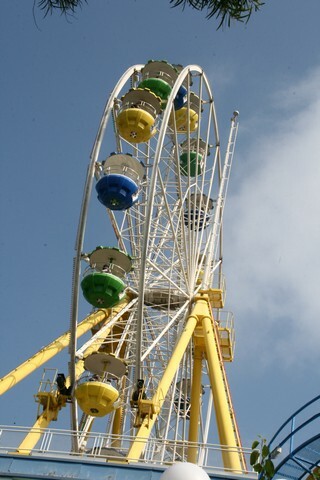 We are just so tired after going to the Ocean park then at the Peak, it's like we crazy going from one place to another. 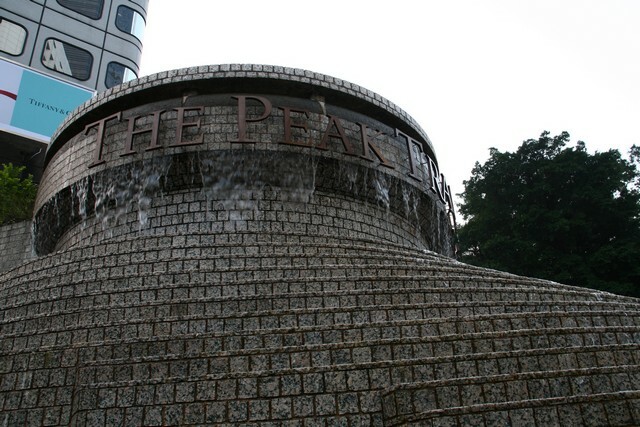 Too bad we run out of time to roam around the premises of THE PEAK. Later that night we had a dinner at a resto and when we got to our hostel we are just oh soooooo tired but I still stayed up late to pack our bags. We have come to an age where almost transactions that we used to do outside of our house can be done online and at the comforts of our homes or offices already. From the mere sending of e-mail to someone to online banking and shopping, wow isn’t that amazing?. It never crossed my mind many years ago that it will be like this. Truly, the world of technology has evolved and it’s benefiting all of us. Companies who only rely on print and TV ads have now considered the Internet as a powerful venue where they can showcase and sell their services and or products. Almost everyone is online doing social networking, chatting, surfing, blogging and more so companies see a lot of potential in advertising. Not only simple bloggers like me are looking for a web host companies to host our blogs or sites but companies have their own blogs and sites now. Choosing the right web host can be a little tricky but doing a research and comparing among top web host can be done. You can start by browsing AlreadyHosting.com where they have reviews about best web hosting companies. They have included the webhosts’ features, price, ranking, reviews and an in-depth web hosting comparison for your perusal. Not only that, great articles like “How to get started Blogging” and more can be browsed on their site. You can check them out to get you started and to get more info. 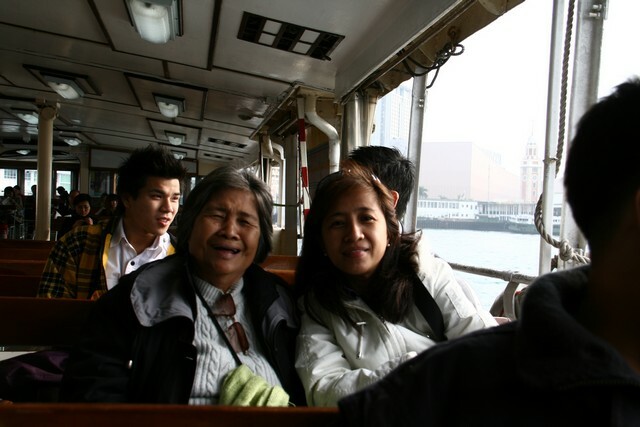 Anyway, Day 3 (Dec. 23, 2009) is packed since this is our last day in Hongkong. 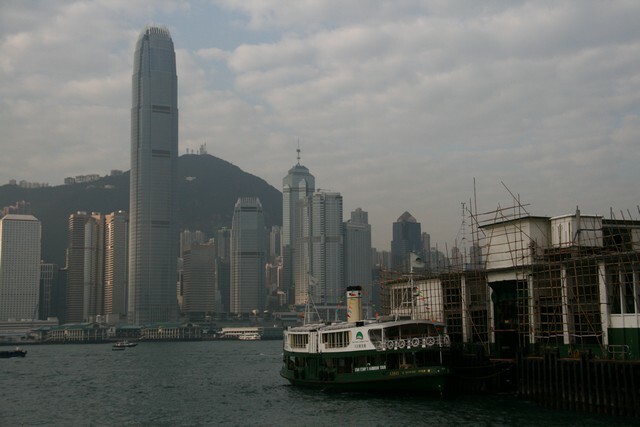 Early morning we walked from Cameron Road from our hostel to Avenue of Stars to view Victoria Harbour. The view was fantastic eventhough the sky is a bit gloomy or foggy. The kids all had fun posing and jumping for fun and from there, we walked again to catch a ferry to have breakfast at the other side of Hongkong. We ate our breakfast at Subway after boarding off the ferry. We also rode the double decker bus to go to OCEAN PARK. 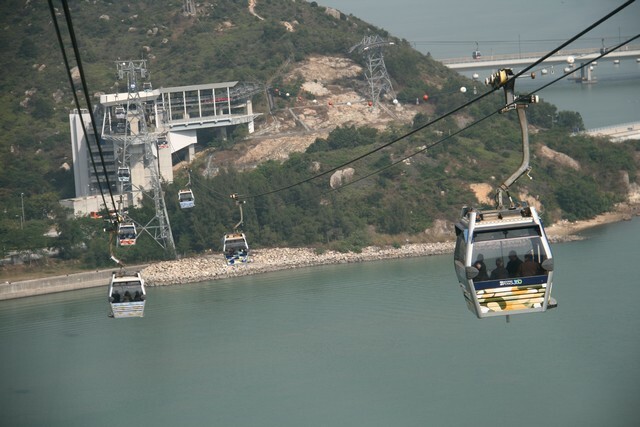 We rode the cable car inside the Ocean Park and oh my goodness it was so scary unlike at Ngong Ping cable ride that we had. 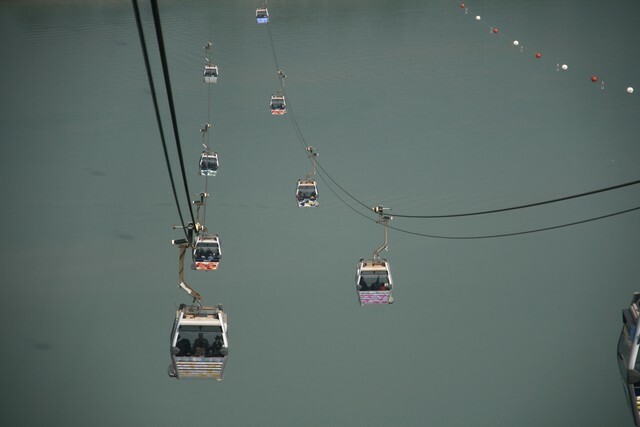 The cable car at Ocean Park is small that is why the slightest move it will shake. 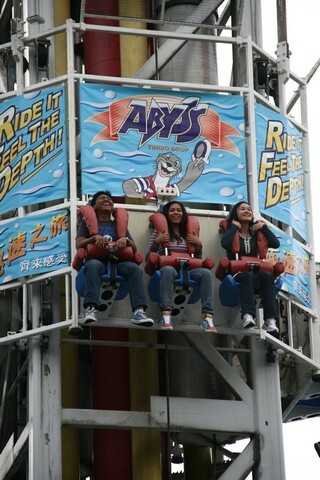 My bro and bro in law is shaking it to scare me and my sis but it was a lot of fun! My nieces and nephews rode different rides inside while we adults had fun watching them and looking after their bags. 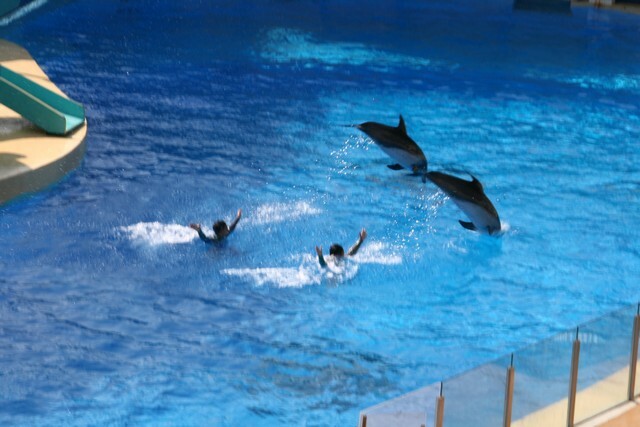 We watched the dolphin show at Ocean Park Theater and the show was nice. Going down Ocean Park, we rode the Ocean Express Train which is a new attraction inside. 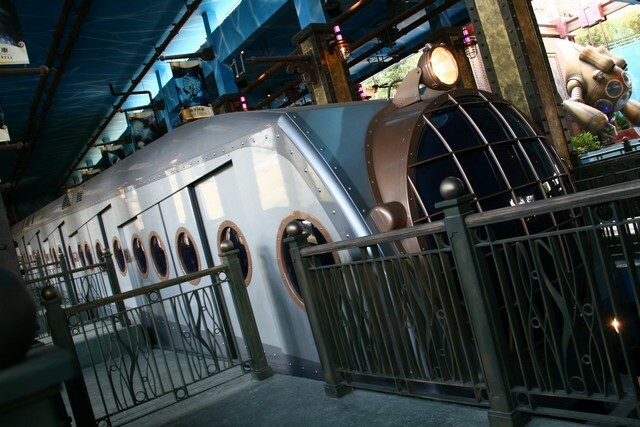 It was fin inside the train since there is an effect where you can feel that you are under water. You need to try this if you are going there. View more of our Day 1-2 Hongkong pics and stories. My vacationing sis and her family whom I’ve been talking about most of the times here in my blog checked in at Sofitel hotel in Manila today. They are going to stay there for 3days-4nights to enjoy the last few days they have here in the Phils. bec. they will be coming back to Australia next weekend. Her family loves to travel and to check in at different hotels. Since the kids are all grown up now, they are already planning for more travels in the future. Who knows they might get a good playa del carmen hotels soon or go back here in Phils. for another holiday. Ahhh how I wish I can travel with them too, perhaps I can go back to Australia again when they already build their new house cuz that will be perfect. When it comes to blings, my youngest sis has an authority (somewhat) on it. With all the diamond rings and earrings that she got as present from her husband, I will not wonder if she also wants to own some loose diamonds into her collection. Remember that diamonds are forever and it's a good investment and can be an heirloom as well. Our iterinary for our HK trip Day 2 (Dec. 22, 2009) is at Hongkong Disneyland. We made it a point to visit Disneyland one whole day so that we can enjoy and we can go on all the places inside. Entrance fee is $350 each, senior citizens will get a discount. 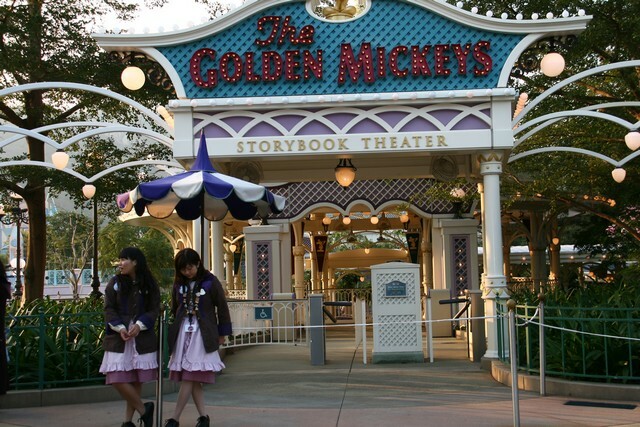 The 1st thing that we did when we entered Disneyland is to have our picture taken in front and after that the magic begins! We rode the Disney train and it kept us more excited to see all the areas that we can go to. We also had time to pose with Minnie Mouse, Goofy, and Winnie the Pooh but we run out of time posing with Mickey Mouse bec. there are long lines as well. 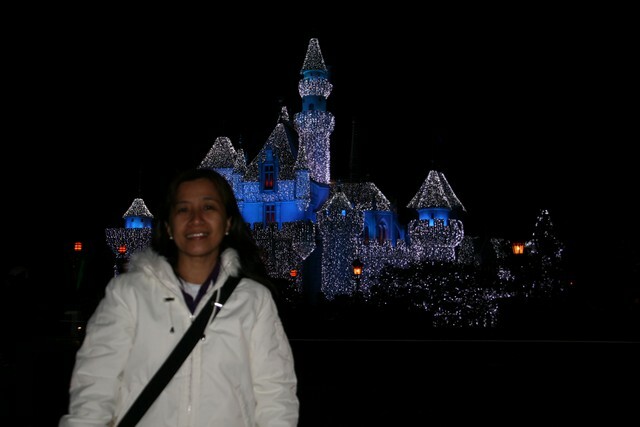 At night it is even more magical because of the lights shimmering esp. at Sleeping Beauty. We all had a great time. We waited till the fireworks at 9 pm and we all went home so tired but we all had so much fun!! 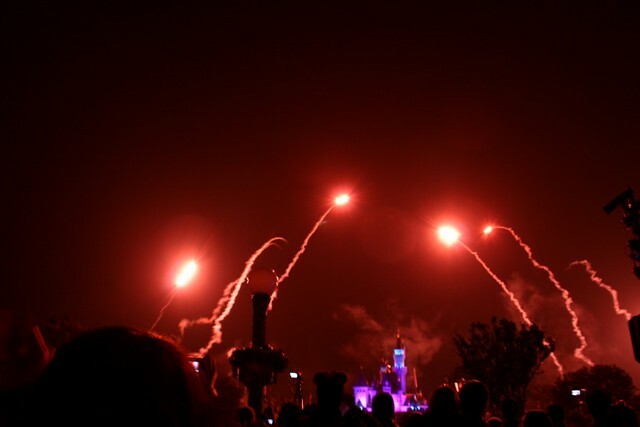 I really recommend all families to go to Hongkong Disneyland for a vacation. Not only the kids will enjoy but also adults. You can inquire at their online site or maybe check by phone to inquire. 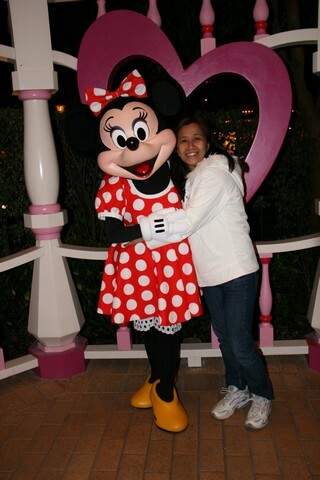 It's all worth it to spend time at Hongkong Disneyland! Oh yes, holiday is over and for most of us it's back to work. I'm really trying to tell myself that I need to get back to work again. The students will be back to school again starting today and they'll be holding textbooks once again till the end of the school year in March or April. Sometimes, I feel like my holiday is not over yet, I still want to go back to Hongkong and explore the city more but I need to get myself going and work again to save for a future trip once again. Happy New Year everyone.!! Here's the continuation of our HK trip Day 1. 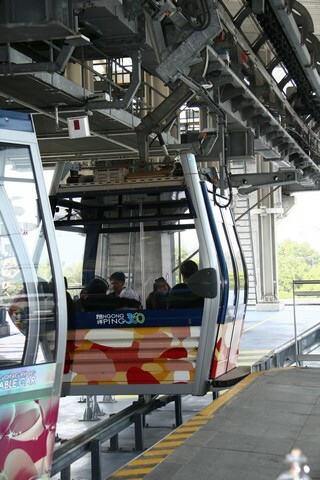 Straight from the airport with our luggage still in tow we went straight ahead at NGONG PING 360 Cable Ride to save us time and to explore Hongkong right away. We left our luggages at an electronic locker near the Cable car ride for few hours. Being holidays there's a long lines going at the cable ride. 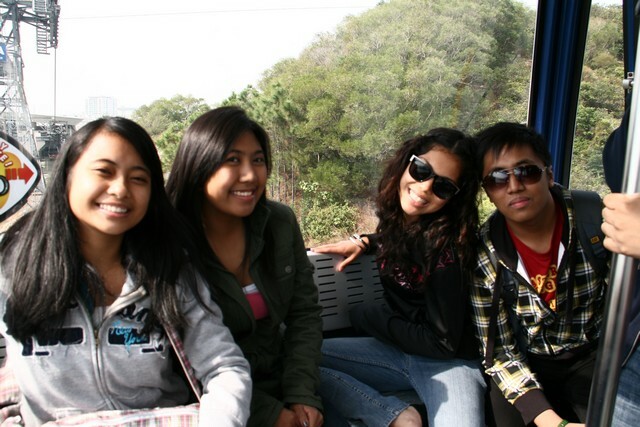 It's not my first time to ride a cable car bec. 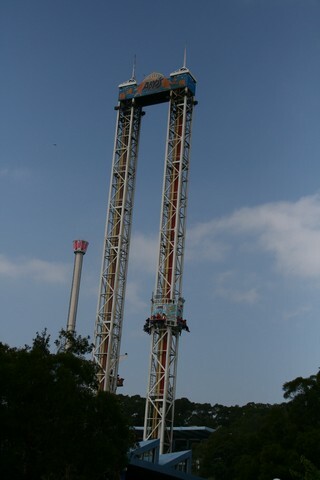 I experienced it in Sydney when I had my vacay there but I still got excited to ride it bec. 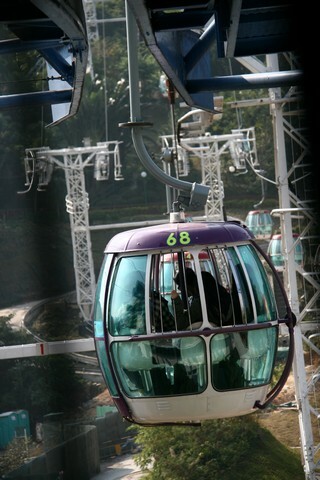 it's more steep and with my niece inside the cable car, they can't help scaring each other and it was fun. We explored the place for few hours eventhough it was so cold especially for my mom who is already wearing 3 layers of clothes. We ate late lunch at Ngong Ping Restaurant but I personally didn't like the taste of the foods there. 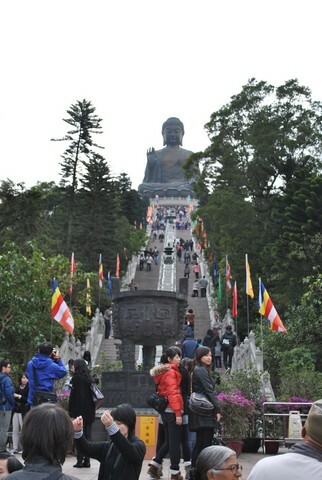 This is at the foot of the Giant Buddha, unfortunately some of us, including me wasn't able to go to the top because we are so busy taking photos of us hehe. Around 4 pm we already left the place to go straight at our hostel to have some rest. We stayed at Lee Garden Guest House in Cameron Road in Tsim Sha Tsui, Kowloon while my sis Joy and her family stayed at Holiday Inn just near our place. Our hostel was perfectly located because it is just so near the MTR station and fastfood joints are easily accessible like McDonald's and KFC. 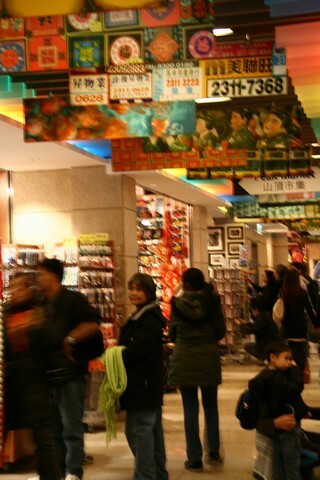 There are many restos and shopping stalls around it. We chose 2 beds where 3 people can share, it has wifi, telephone, a TV eventhough it's not a samsung led hdtv bec. we also didn't have time to watch TV bec. we are out the whole day. After resting for an hour or so, the girls went for a shopping at Mongkok night market but I was so disappointed because items being sold there are mostly seen here at our bazaars here in the Phils. at much lower price so we didn't buy much, plus they price so much. It's just a waste of time haggling for a lower price. The sellers are taking advantage bec. if you really don;t have an idea how much it really cost then you can buy it at so expensive price. We went inside Giordano and Esprit outlet and my sis Joy just bought some for her kids.